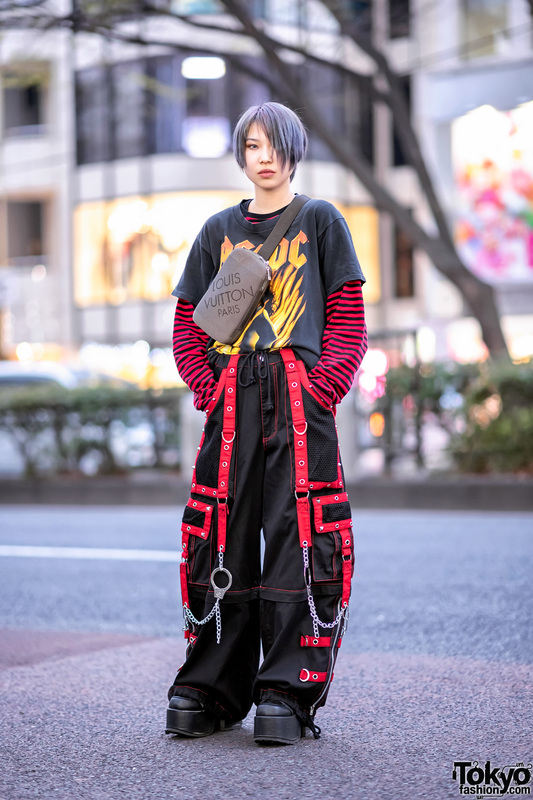 Billimayu is a 16-year-old student who we often feature on our Harajuku street snaps. Tonight, we spotted him out on the street clad in a brightly colored street ensemble. 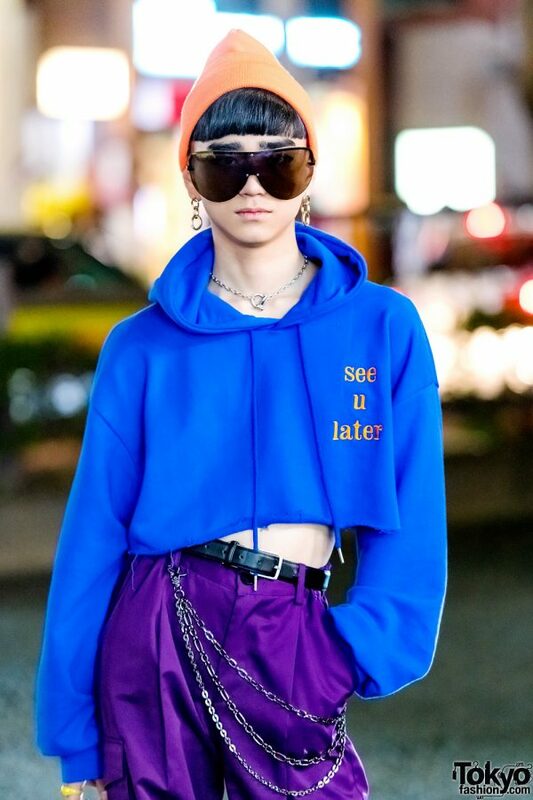 Wearing an orange pointy beanie hat over blunt bangs, Billimayu is wearing a blue cropped hoodie sweater from Ding with a “See You Later” print on one side, which he paired with purple parachute pants from ESC Studio and black patent leather booties from Forever21. 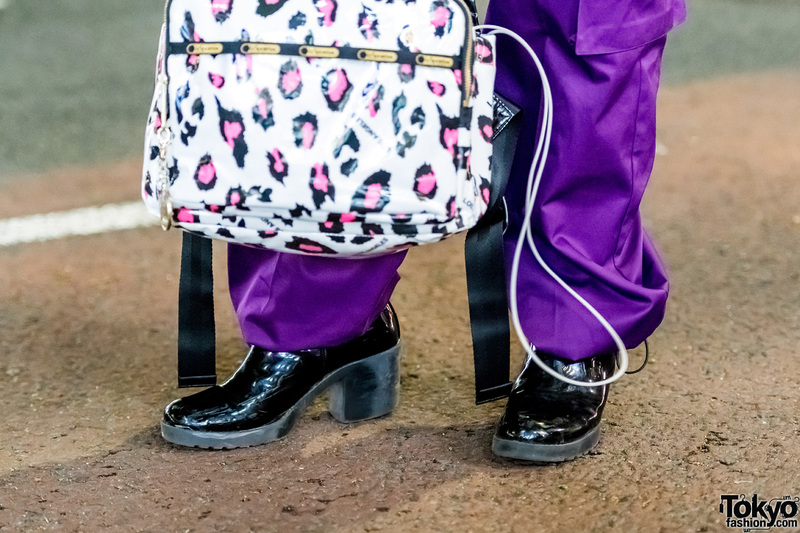 A white-and-pink leopard print Joyrich backpack, and vintage accessories such as gold chain earrings, oversized sunglasses, a silver lock necklace, a skinny black leather belt, black wallet chains, and multiple knuckle rings completed his look. 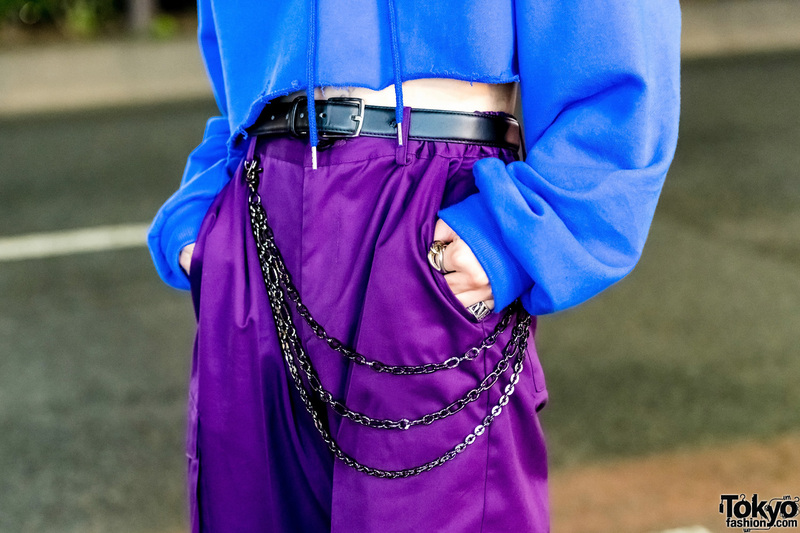 Billimayu lists ESC Studio as his fashion favorite, while his musical pick is South Korean boy band, Big Bang. For his social media updates, follow Billimayu on Twitter and Instagram.